Of the 22 planes it operated, 16 were on the domestic routes and the rest were deployed in the international routes. 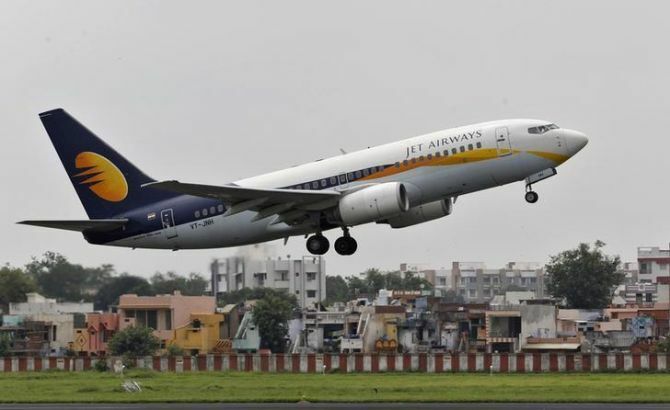 Crumbling Jet Airways has massively reduced its operations from its main hub Mumbai to just about 32 flights on Tuesday, said an airline source. "Jet on Tuesday operated only 22 planes, bringing down daily operations to 32 flights from Mumbai, the main hub. This included 16 arrivals and departures each," the source said, adding the airline didn't operate the remaining four aircraft. Civil aviation secretary Pradeep Singh Kharola said had on April 4 said that Jet Airways was flying only 26 aircraft. Is Jet eligible to operate on international routes?